Original research papers and book chapters are available here. Optics and Lasers in Engineering publishes our study on the effects of the high-power laser beam irradiance on the fiber-reinforced composite materials utilized for the ballistic protection. 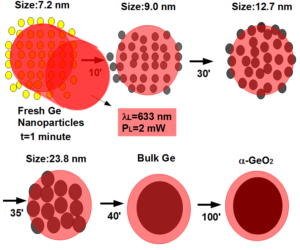 Free-standing Germanium nanoparticles were implanted inside iron-filled Carbon nanotubes with bean-like deposition. Dr Karatutlu presented recent developments on engineering techniques for high-power cladding light strippers which is one of the critical components in high-power fiber laser at Adım Physics Days (Adım Fizik Günleri) in Aydın, Turkey. 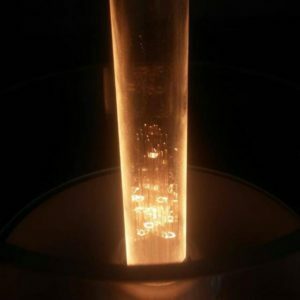 Research on fundamental properties and applications of the preform and fiber production, fiber lasers, laser processing and nanotechnology is conducted in our group. Original research papers and book chapters are available in high-impact journals and well-recognized publishers. The materials including active & passive fibers fabricated by our group catches the level of industrial products and can be utilized in several applications. Our group delivers talks for the sake of serving to the scientific community by widening the knowledge produced recently. Click the download button for the updated resume of Dr. Karatutlu. 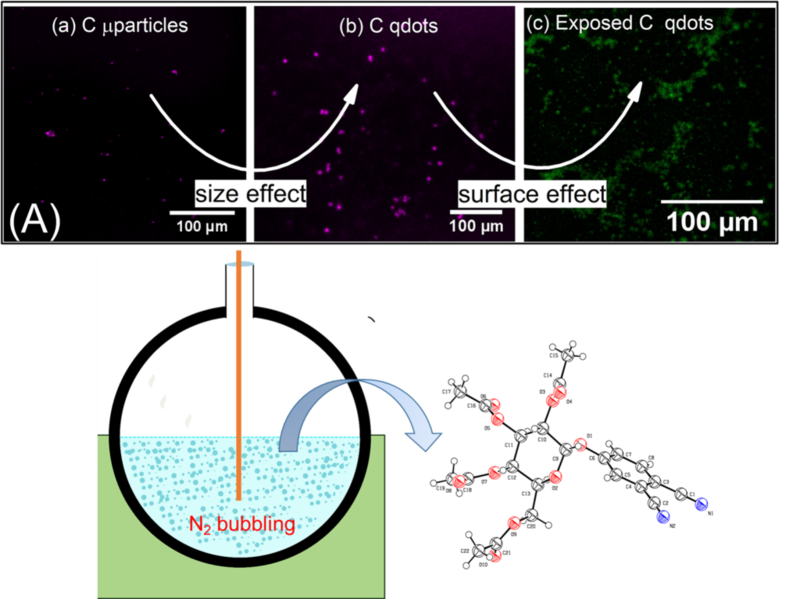 Functionalized nanoparticles can be prepared using a room temperature benchtop colloidal route in mass scale and still be cost-effective. 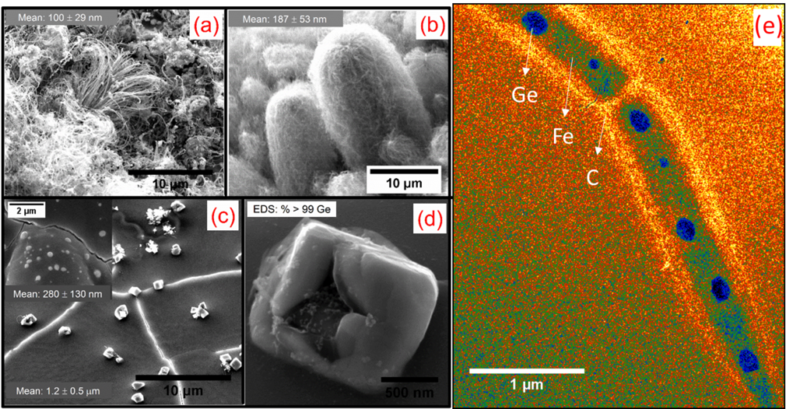 A transition to a liquid-like metallic structure under hydrostatic compression was discovered in Ge nanoparticles . 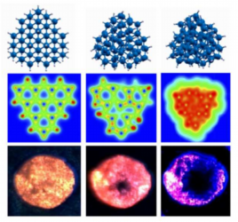 Bean-like deposition of nanoparticles inside iron-filled carbon nanotubes has been recently demonstrated. 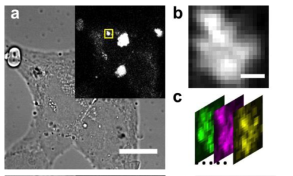 Free-standing nanoparticles were found promising in bioimaging and they also carry potential in therapy using the explosive crystallization phenomenon. 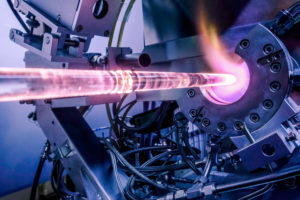 Ortac Group has demonstrated the fabrication of new generation of optical fibers including photonic crystal fibers (PCFs) and high-power low NA active all-fibers. All rights reserved ® 2019 Images may be subject to copyright.